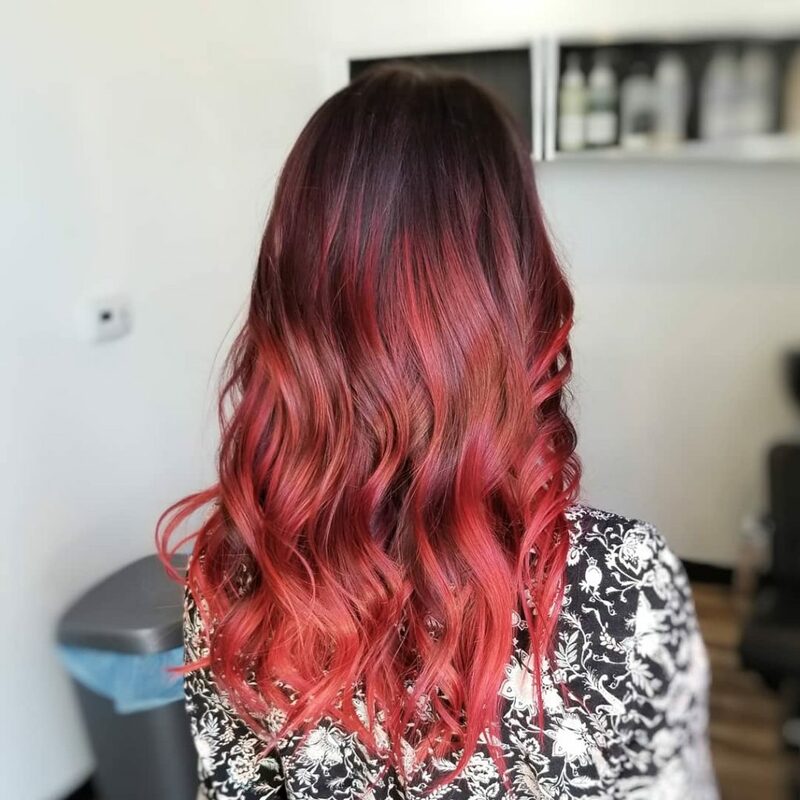 Nothing beats walking out of the the salon with freshly styled hair and a color that you love! Whether you’ve been rocking the same color forever or it’s a totally new style; it’s always fun to experiment with new colors and cuts that match your complexion or coordinate with the seasons. If you’re planning on coloring your hair, or already have color in your hair, you definitely need to be using color-safe shampoo and conditioner. I highly recommend the Keratin Color Care Shampoo and Conditioner. (They’re big, reasonably priced, and help repair damage!) Color safe shampoos and conditioners will help your color last longer and keep your hair shiny, soft, and luxurious. It’s also best if you can find a color safe shampoo that is sulfate-free and alcohol free (bonus points if it’s organic)! Sulfates and alcohols are ingredients in most shampoos you’ll find in the grocery store, and they can cause your hair to become dry and dull. Sulfates and alcohols can be very harsh on your hair, and they will definitely cause your hair color to fade quickly. 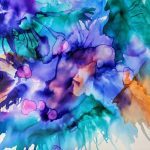 If you want to get the most out of your color, you need to use the right products! If you love your ashy blonde hair and want to keep it looking fabulous between salon visits, purple shampoo is a MUST HAVE product for you. Purple shampoo is a special shampoo that contains just enough purple pigment to counteract brassy, gold, or yellow tones in your hair. (I recommend trying the Amika Bust Your Brass purple shampoo.) If you’re a brunette and have highlights or a balayage, this is an ideal product for you too! 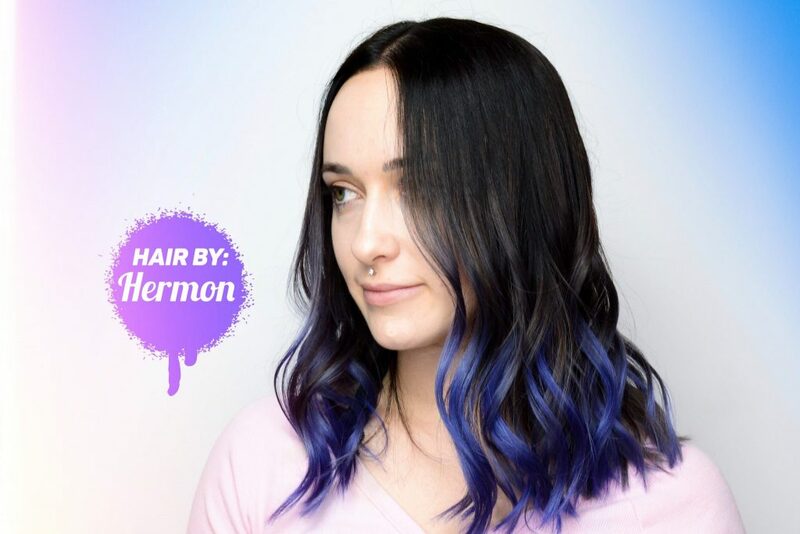 You can use your purple shampoo just like you would your normal shampoo, but leave it on for 5 to 10 minutes to let it process before rinsing. Whether your hair is damaged or not, deep conditioning masks should be an important part of your hair routine! Including these lovely products into your daily routine will ensure that you always have healthy, shiny locks. My favorite mask for colored hair is the Minu Hair Mask by Davines, because it’s specifically formulated for colored hair! Also, if you feel like you have damaged hair, give the Nounou Hair Mask a try. Nounou is formulated for highly processed (colored) hair, which means it’s extremely hydrating and soothing! Deep conditioners are super easy to use; put the conditioner in wet/damp hair and let it sit for 10 minutes, then rinse! You can even sleep in it if you want; just remember to put a soft towel over the pillow. 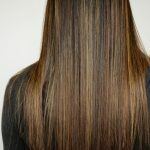 A huge part of keeping your colored hair healthy is creating good hair habits. 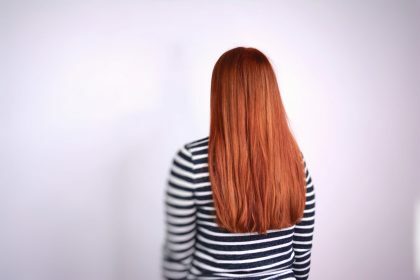 Chemically processed or colored hair is more vulnerable to damage than virgin hair, but keeping up a healthy hair routine will keep those locks looking good! It’s the small changes that will really impact your hair’s health. Slow Down on the Shampoo. It’s easy to believe that because most of us shower every day, we need to wash our hair every day too. However, that’s not true! Washing your colored hair everyday can cause it to be brittle and dry, and nobody wants that. Although it might seem odd, most hair care professionals will recommend that you wash your hair 2 to 3 times a week. 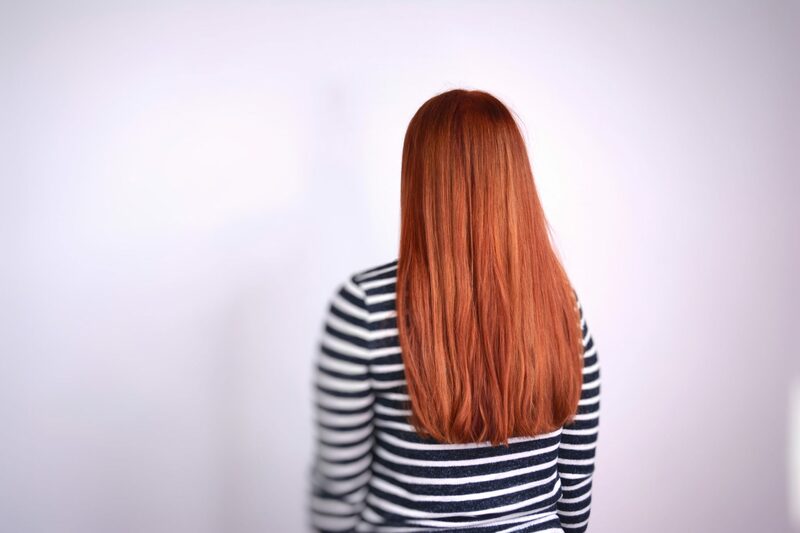 If you have a lot of split ends or damage, getting regular trims can help. I know it’s difficult when you’re trying to grow out your hair, but getting regular trims can actually help your hair grow faster, and healthier! 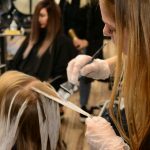 It is impossible to fix split ends after they happen, but getting rid of them every 6 to 8 weeks with a trim will help keep your hair healthy overall. “Wait, the sun can hurt my hair too? !” Yes my dear, it can. The sun naturally lightens your hair as well as breaks down chemical bonds in hair color, which causes your color to fade. To prevent sun damage to your hair, try wearing a cute hat, or using hair products that have UV protection properties. I know this is a no-brainer for our local Arizona peeps, but this especially goes without saying if you have colored hair. 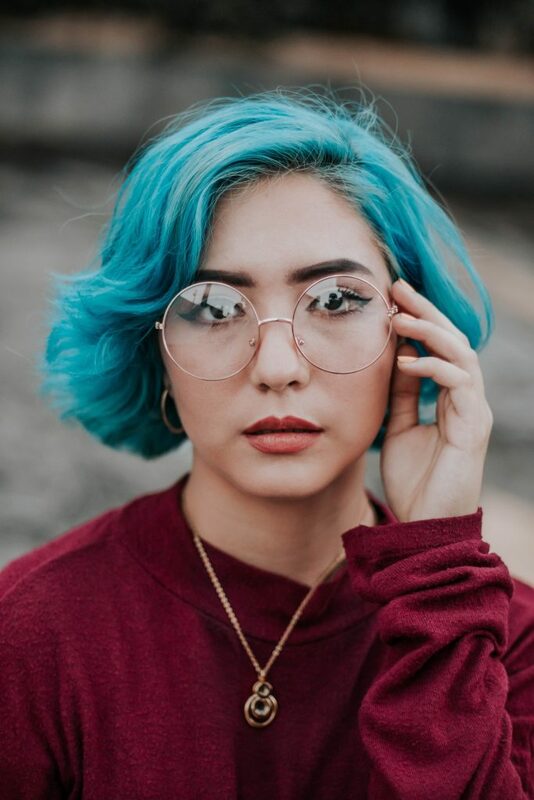 Colored hair is fragile after being processed and dyed, so using hot tools like flat irons on your hair may cause additional and unnecessary damage. This is especially true in the Summer when it’s hot out, so I recommend picking out some no heat styles that work for you! Try to leave your hair natural, let it air dry as much as you can, and limit your use of hot tools to once or twice a week. If you find yourself in the pool often, I recommend getting your hair wet before getting in the pool and using a leave-in conditioner! This will help keep the chlorine out of your hair, but it’s not 100% effective. Check out some other tips on protecting your hair in the pool here! Most people don’t enjoy cold showers, but washing your hair with cold or lukewarm water is the best way to keep your color from washing out. Hot water opens the surface area of the hair strand, which allows your hair color to escape more easily. 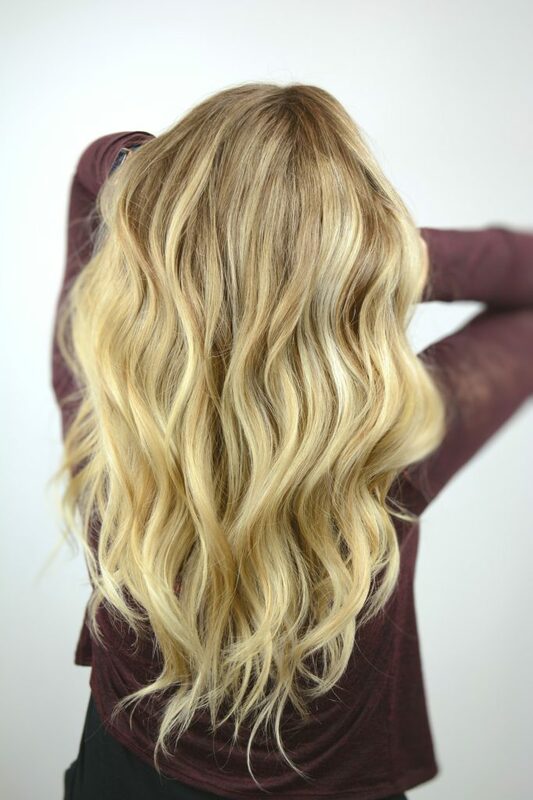 A cold water rinse is also known to give your hair some extra shine! I hope you enjoyed these tips for taking care of your colored hair! Your hair is an important part of how you present yourself to the world; it’s good to protect it and keep it looking gorgeous! 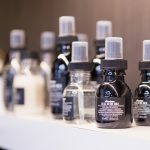 If you have any questions about taking care of your hair that weren’t answered here, check out more of our Hair Health blogs, or send us an email at info@touchupssalon.com! If you’re ever in the Chandler, Arizona area, come by and see us! We would love to help you find your perfect look. If you enjoyed our post, #JoinTheBeautyRevolution and subscribe to our newsletter!